Updates will be once a week for the time being because these pages are a BEAST to complete and I still have a lot of recovery to do health wise. Here's a look at some of the patreon gifts sent out over the past months! 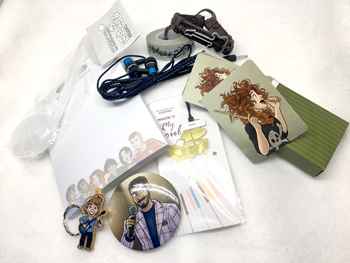 Click the guitar case on the sidebar to find out how to get your own mailed goodies!